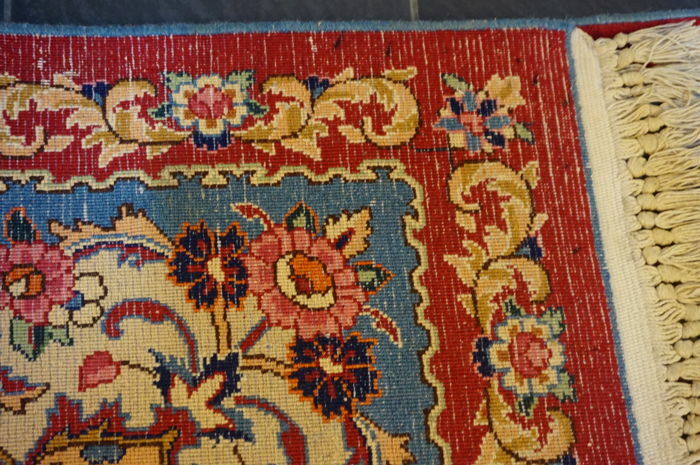 This is where the art of knotting is in full bloom and has reached perfection. 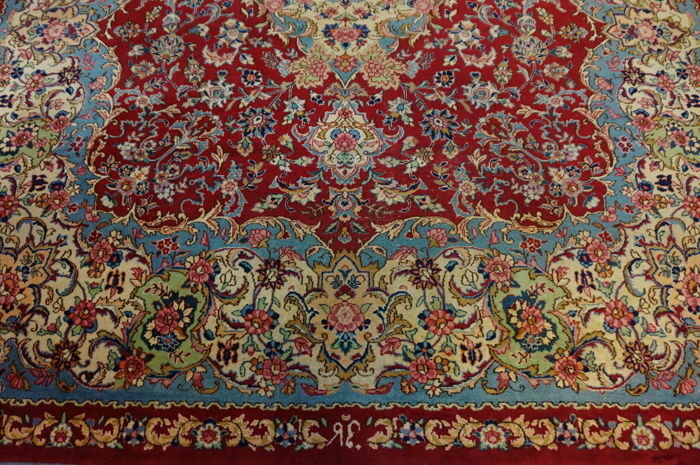 Overall, the carpet is characterised by a rich imagination and creativity based on the contemporary tastes of our century and is considered a first-rate piece of its provenance. 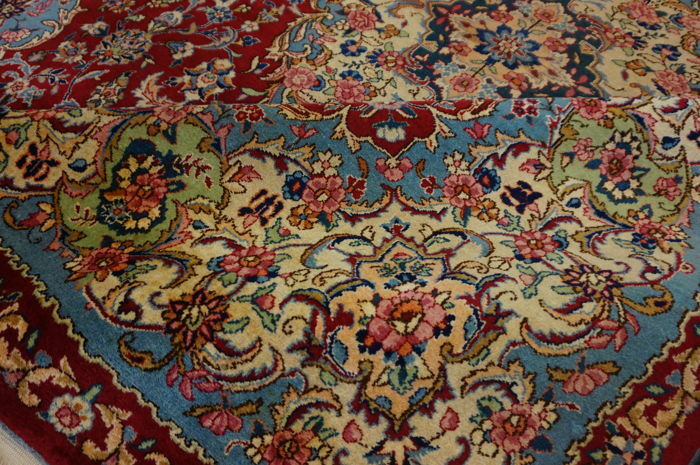 The carpet is in good used overall condition (minor patina in some places), see XXL pictures. 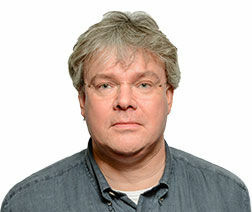 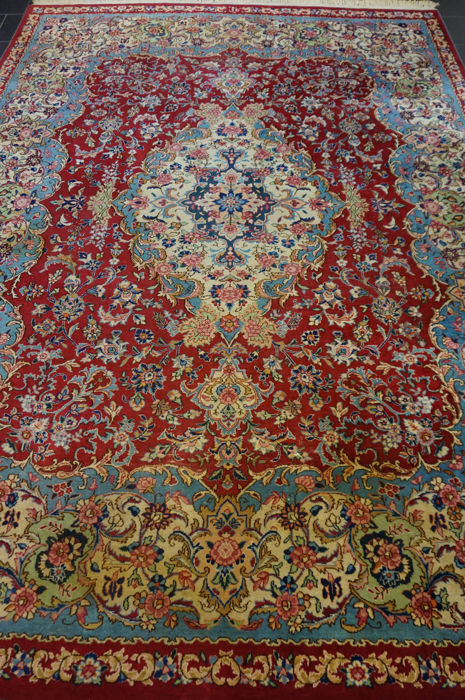 upon request, we can have the carpet cleaned for you professionally. 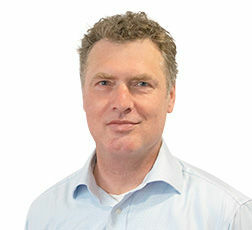 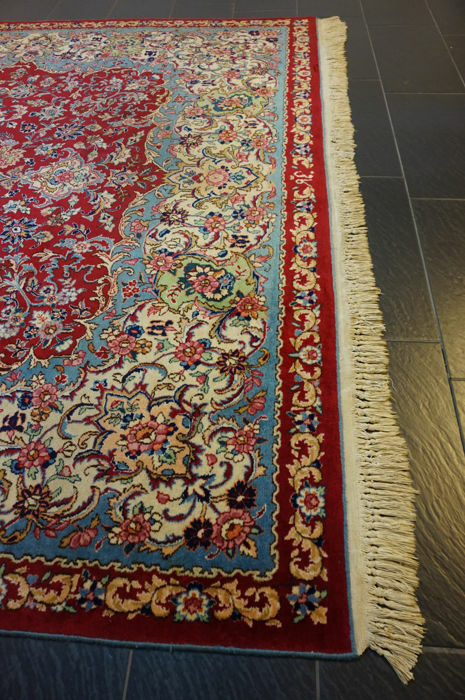 You can choose between normal cleaning for €19.90 per m² and luxury cleaning for €24.90 per m². 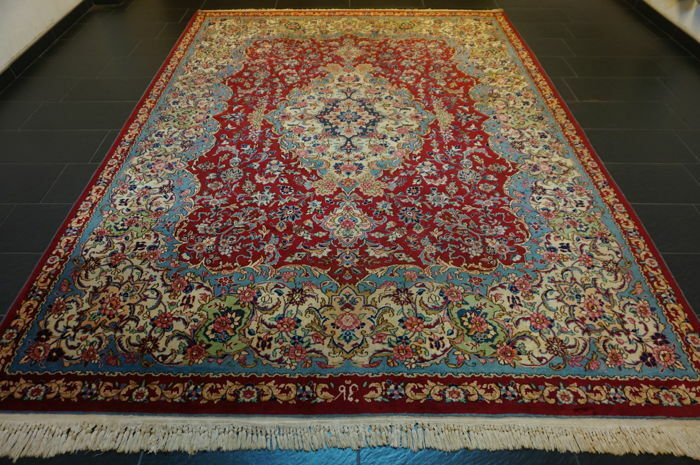 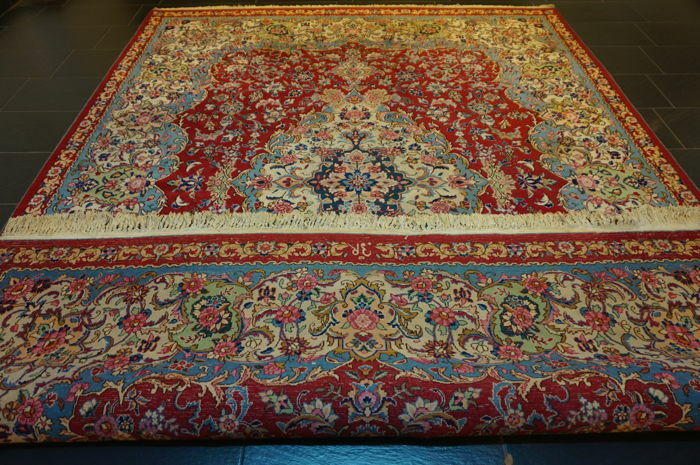 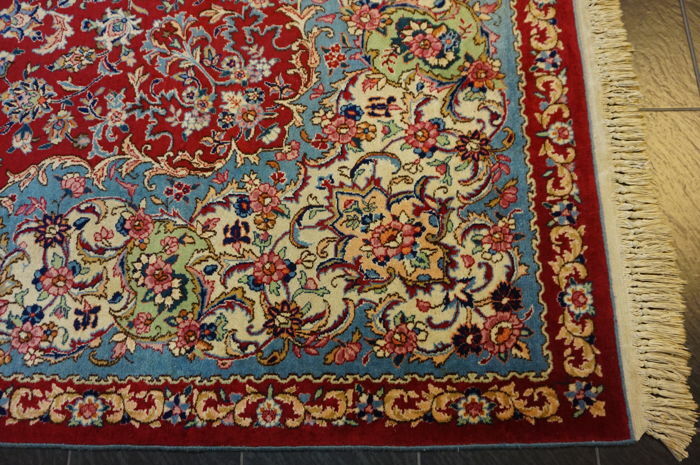 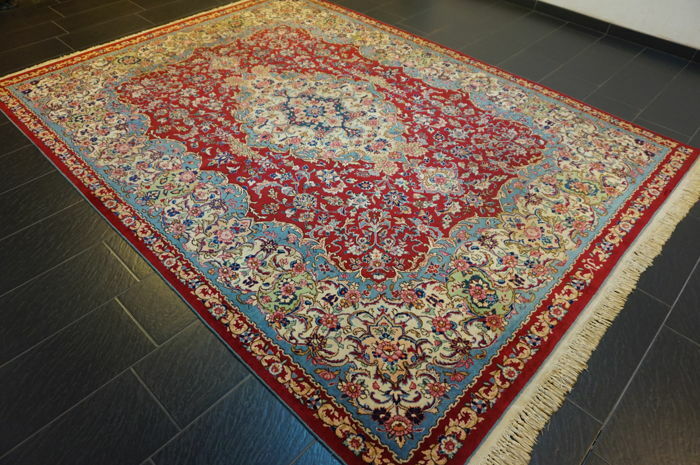 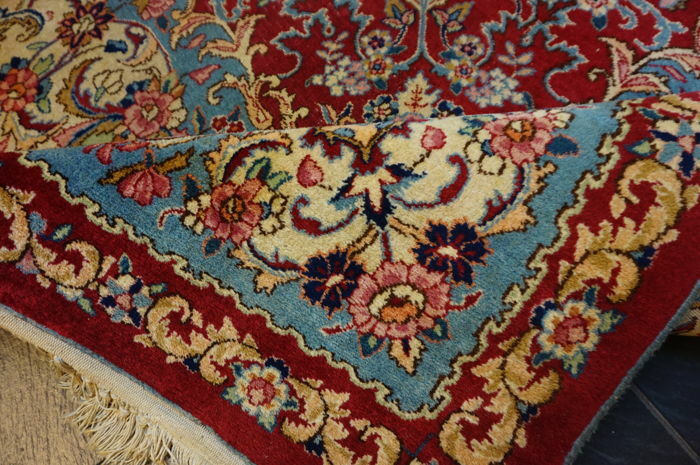 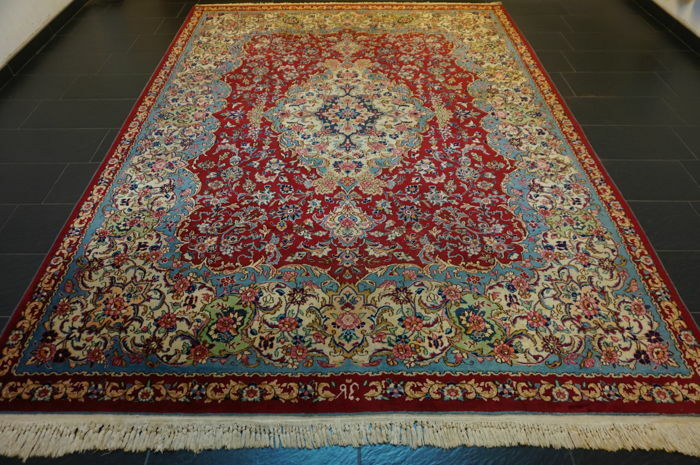 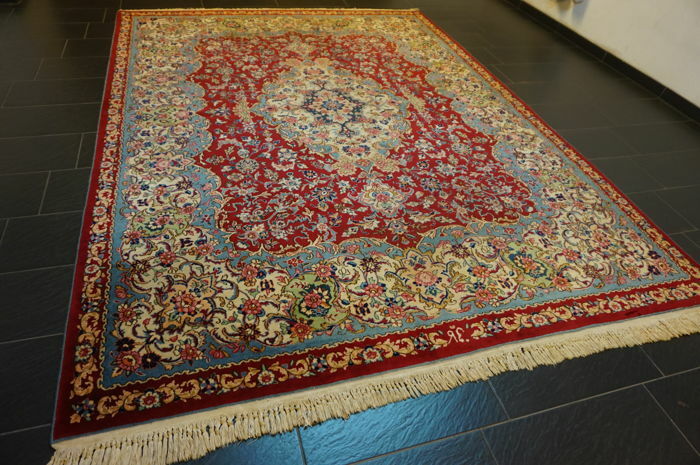 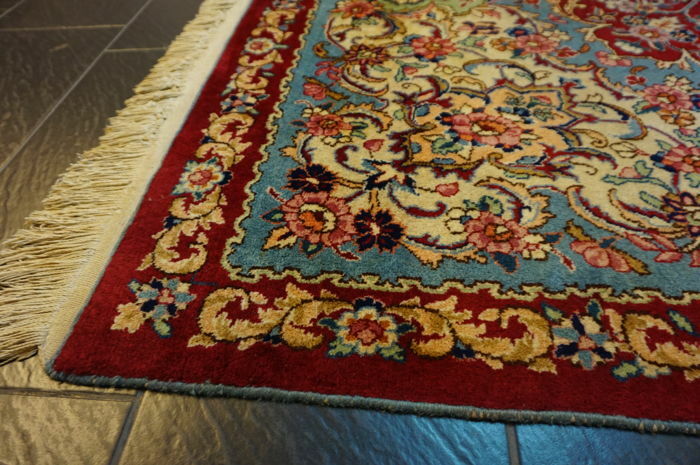 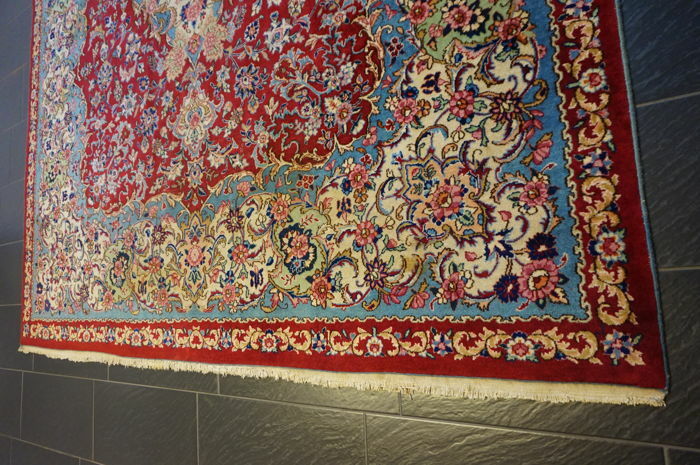 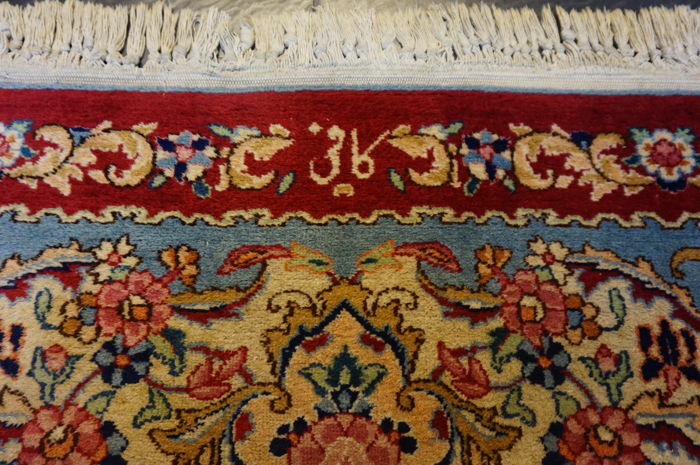 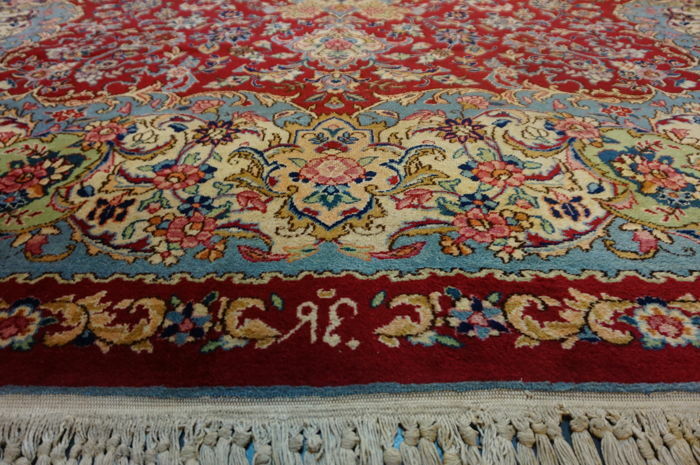 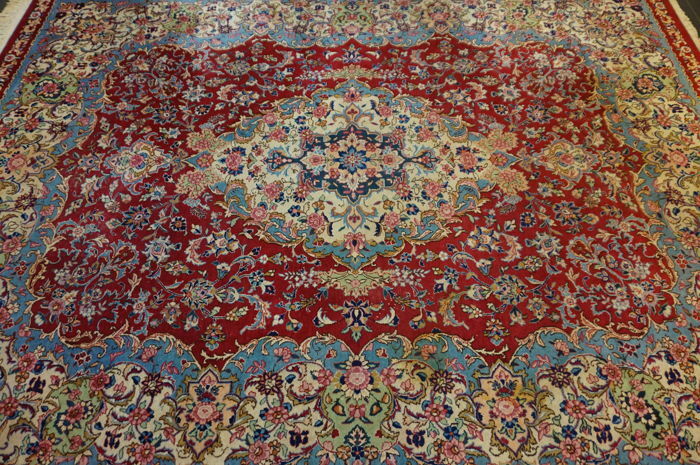 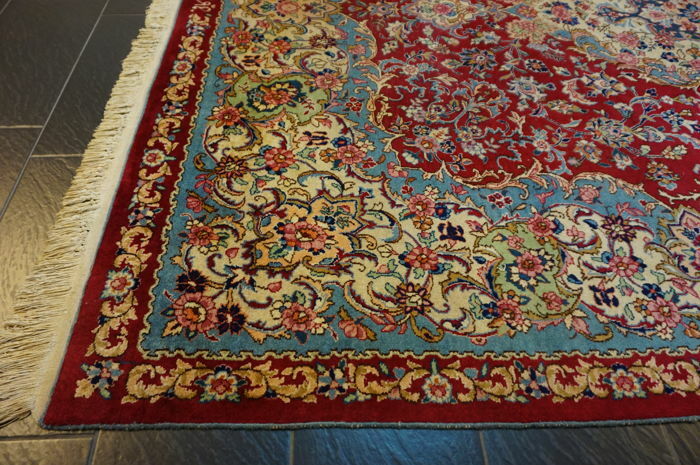 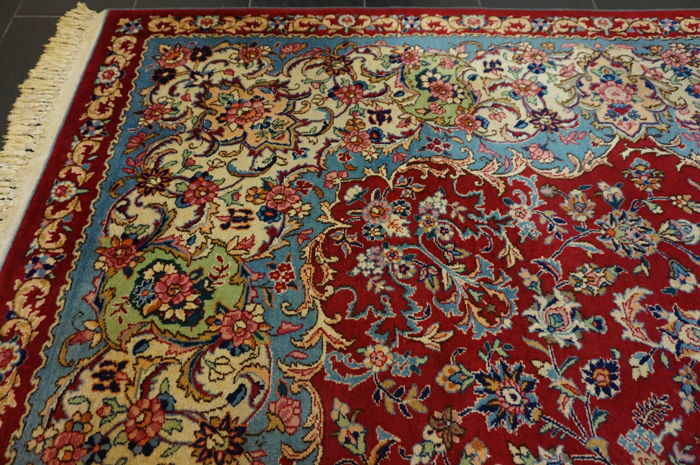 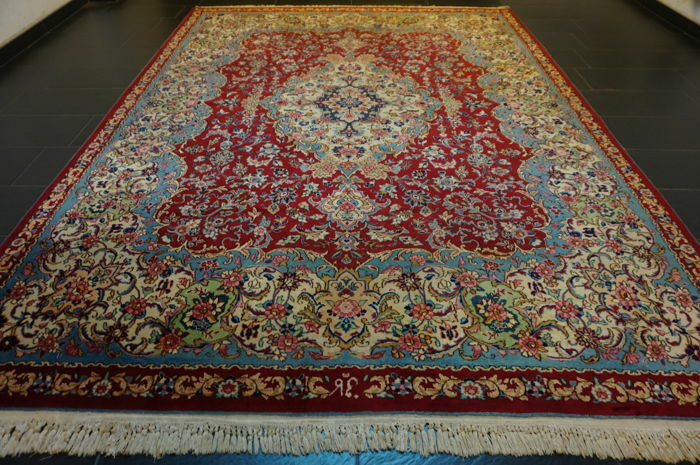 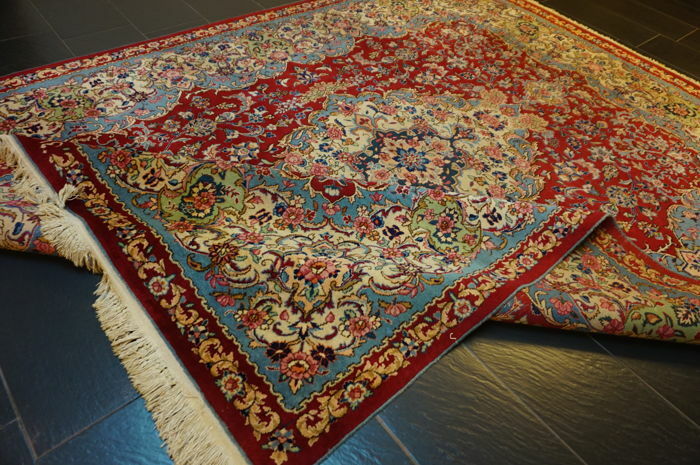 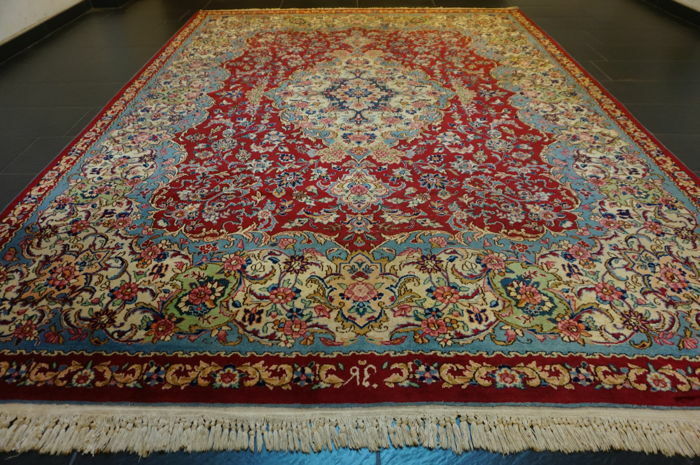 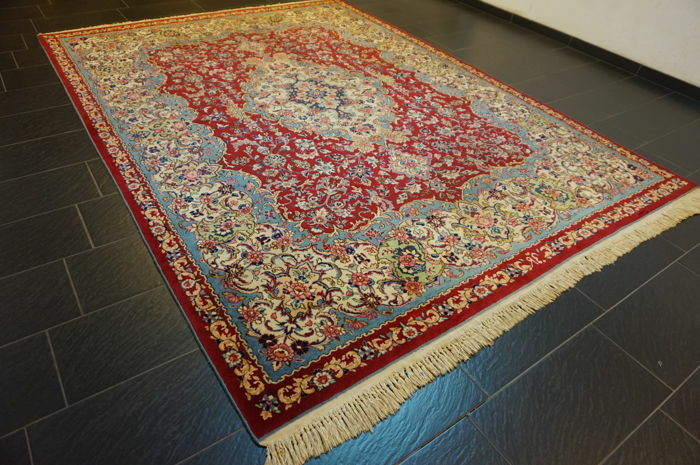 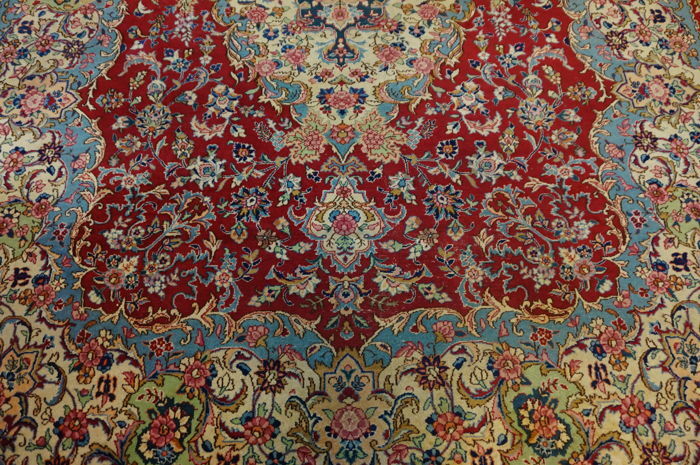 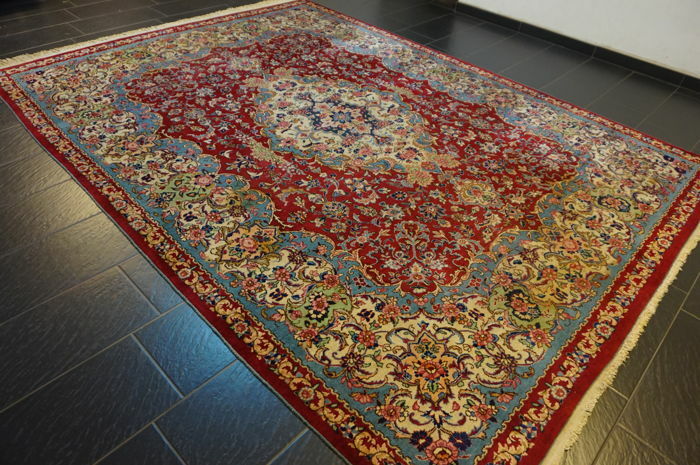 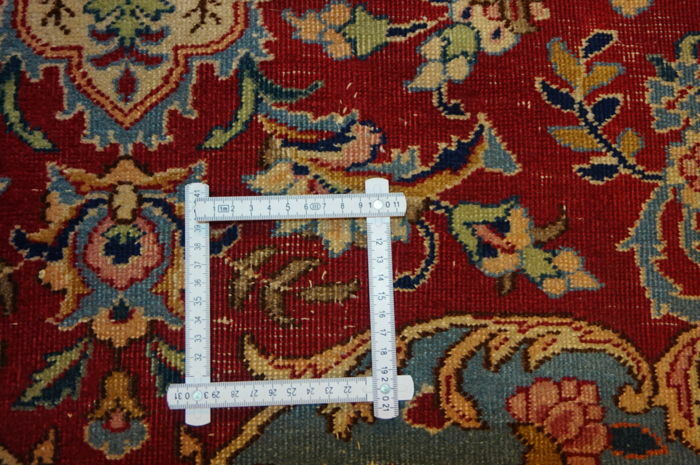 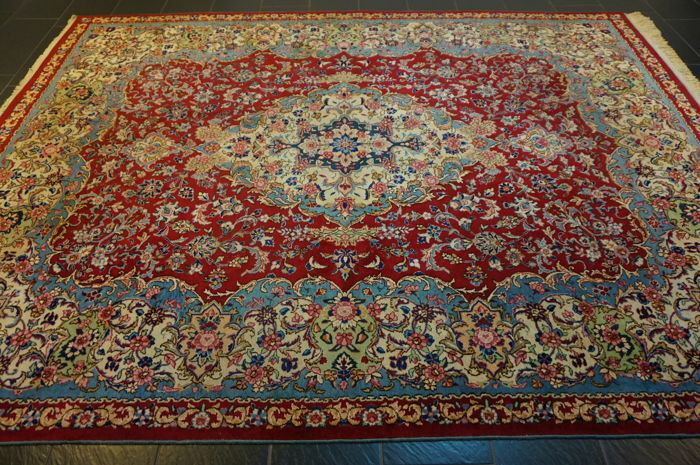 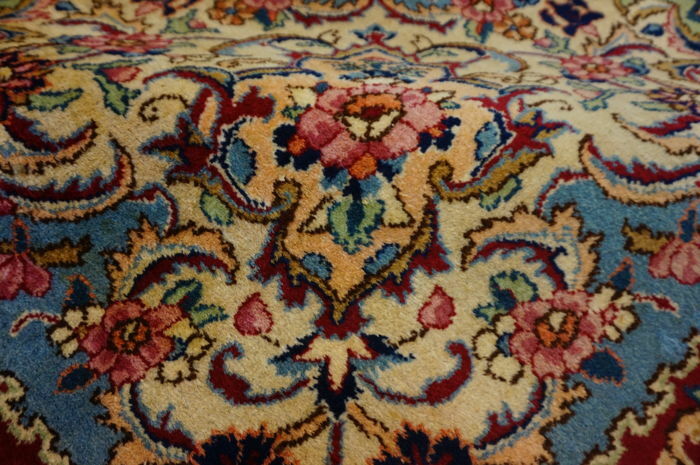 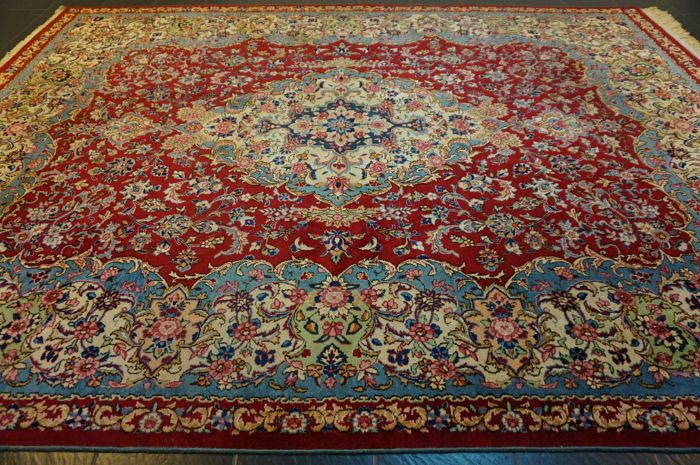 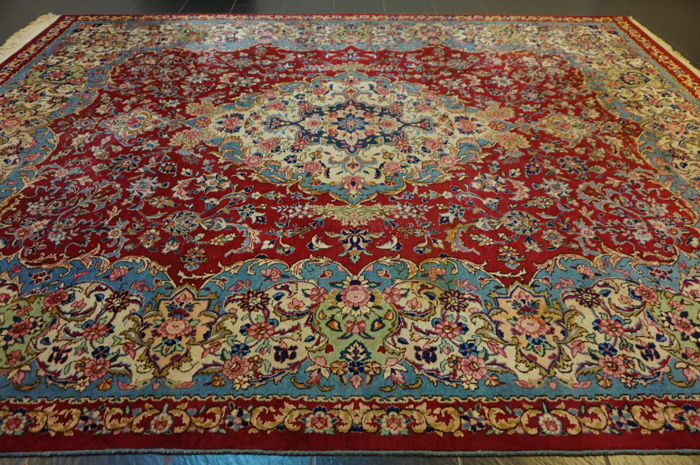 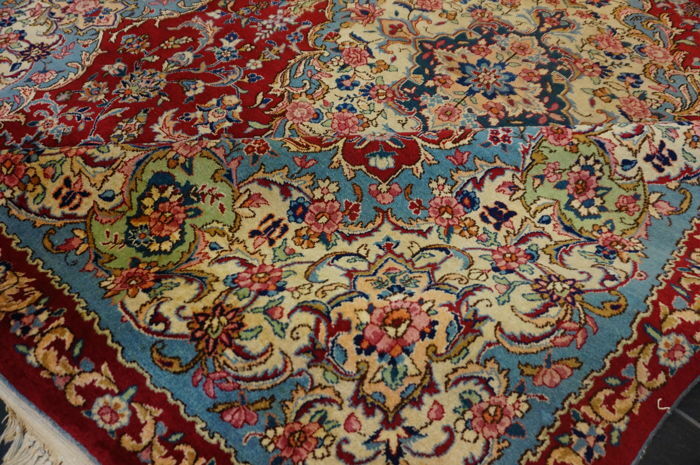 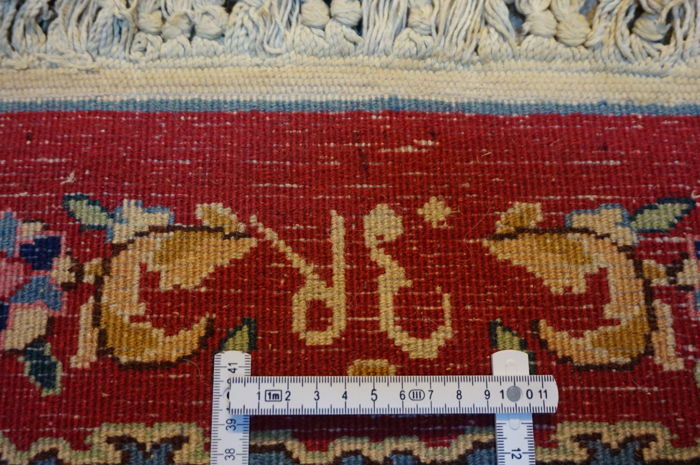 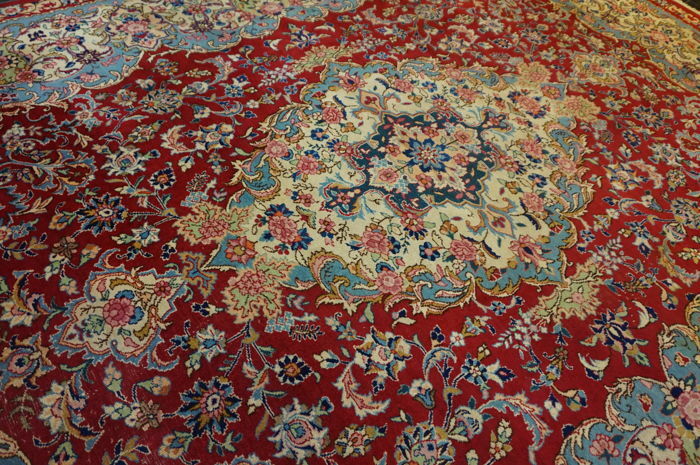 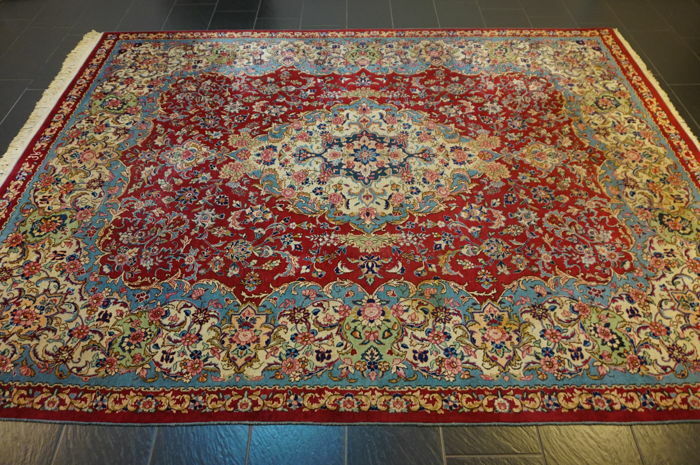 This carpet was exported from Iran before 01 January 2015.